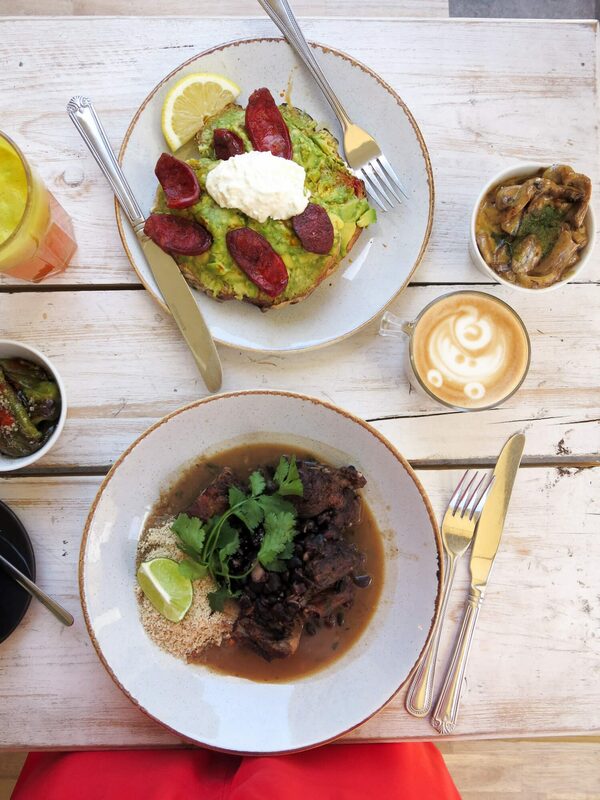 You’re now spoilt for choice when it comes to finding a tasty place for brunch in Peckham. Today I’m sharing the delicious and vibrant brunch from Peckham Rye restaurant, Tupi. Residing right at the top of the Rye, this gorgeous and bright all-day restaurant serves breakfast, brunch and dinner and you need to add it to your list! It’s no secret I love brunch. I love the variety of dishes and that if you want you can happily order pancakes for your main dish. Though usually I order this as standard as a second course because I can never choose between sweet and savoury. I have to have both! And I love that you can either go for a fresh juice and coffee or go some fruity cocktail or prosecco! Tupi is a relatively new addition to the list of cool Peckham Rye restaurants. In the past year the Peckham food scene has changed so much – which some love and some hate. 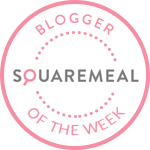 The soul of Peckham is changing… but I do love the variety of different places there are to eat in the area. From East Dulwich through to Peckham there is so much going on. This bright and sunny café-come-restaurant feels welcoming as soon as we walk in. The staff are friendly and happy to talk you through the pretty epic menu. The interiors are very cute with mismatched tiles at the bar, simple furniture and flowers and plants dotted around. It’s comfortable and unpretentious. A rarity these days! Tupi is one to add to your list when looking for a new place for brunch in Peckham. Tupi serves South American food with a European influence, which is what makes the menu at Tupi so interesting. There is such a great selection of vegetarian and vegan dishes, with so many great fresh juices and smoothies on offer. Whether you want a healthy brunch or a more indulgent brunch in London, Tupi can deliver on both! 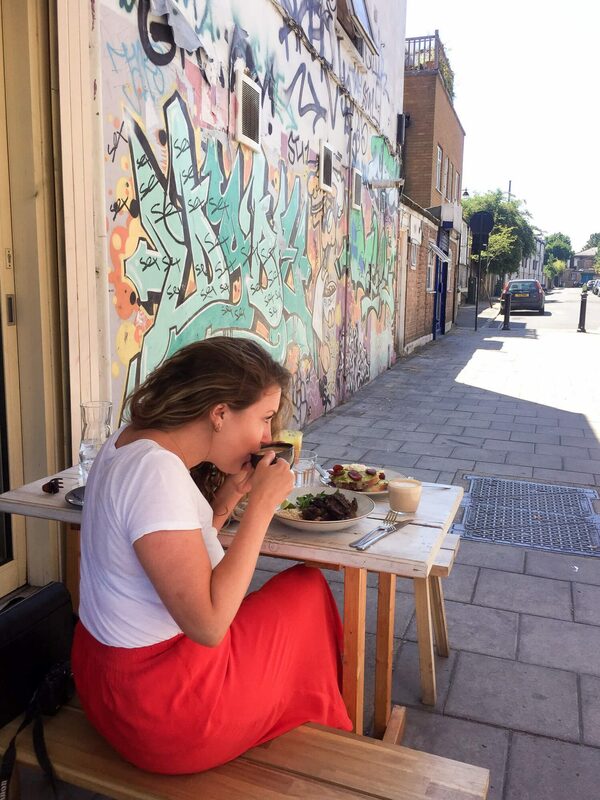 It was a beautiful day in Peckham so we decided to take advantage and dine outside. We didn’t know what to order, as honestly, we could have happily eaten the whole menu! So we asked the lovely waiter to talk us through the menu and help us order some favourites. I already had the beef short ribs on my shortlist so when he said it was one of their signatures I had to order it. Katy went for a more traditional brunch dish of avocado, chorizo and whipped feta on sourdough. As we sat there sipping on our coffees, catching up and enjoying the weather, we saw other dishes going out to other diners in the busy restaurant. The portions here are very good indeed, and everything that came out looked so colourful and delicious. I’ll be ordering the house cured salmon and asparagus next time I think! In recent years the bar for a good brunch in Peckham has definitely risen, and Tupi have lots of competition. But they have nothing to worry about. Brunch at Tupi was utterly delicious! As I mentioned the variety is great, but sometimes that can affect the quality of the output from the kitchen. The is not the case at Tupi. 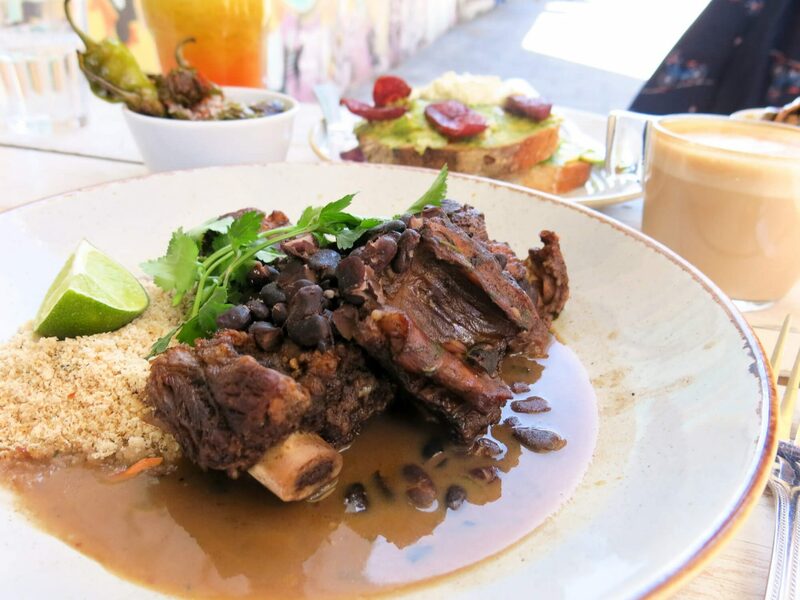 The beef short rib is served with a cachaça and lime sauce with black beans and toasted cassava flour. The beef fell off the bone and the sauce was tangy and moreish. Although it was a rich dish it was the perfect size and I really enjoyed devouring it. Katy’s avocado was a generous portion also, and tasted fresh and light as it should. Creamy avocado and salty, smoky chorizo is a match made in heaven! 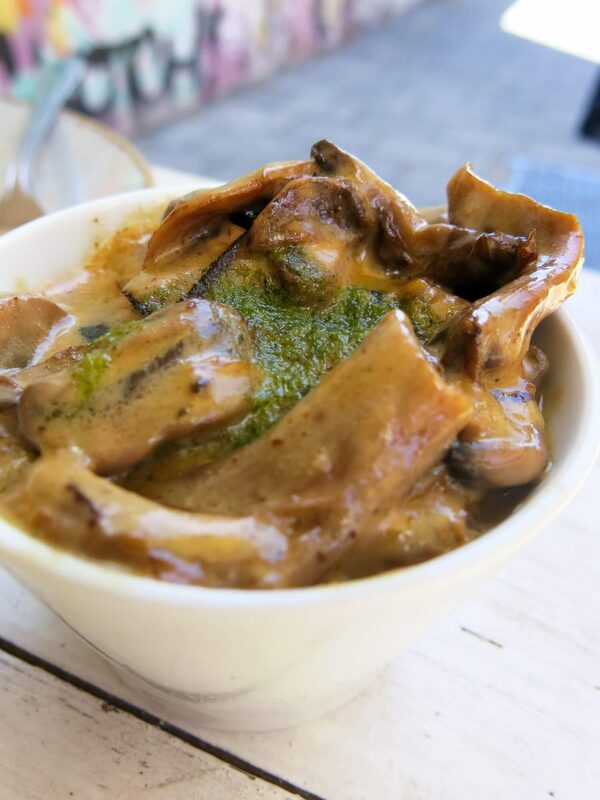 We were also told to order the creamy mushrooms. And, oh my god. If you like mushrooms please order these!! They were oozy and creamy, spiked with pesto. We couldn’t stop eating them! 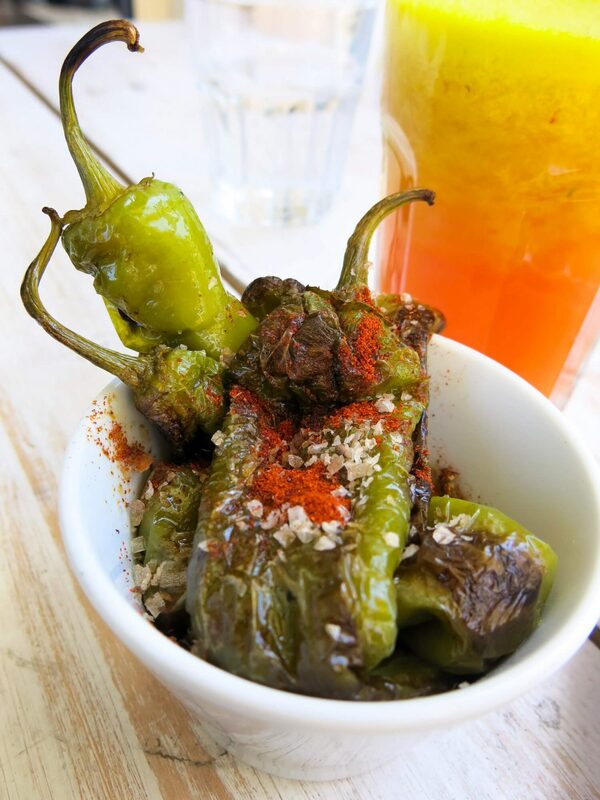 We also ordered some Padron peppers for good measure. Would I return to Tupi? Yes, most definitely. Next time I’ll try the dinner menu as it looks interesting and good value too. They also have a happy hour every day, and if the fresh juices are anything to go by, their cocktails will be very good. The food here is vibrant, interesting and most importantly, it tastes great. 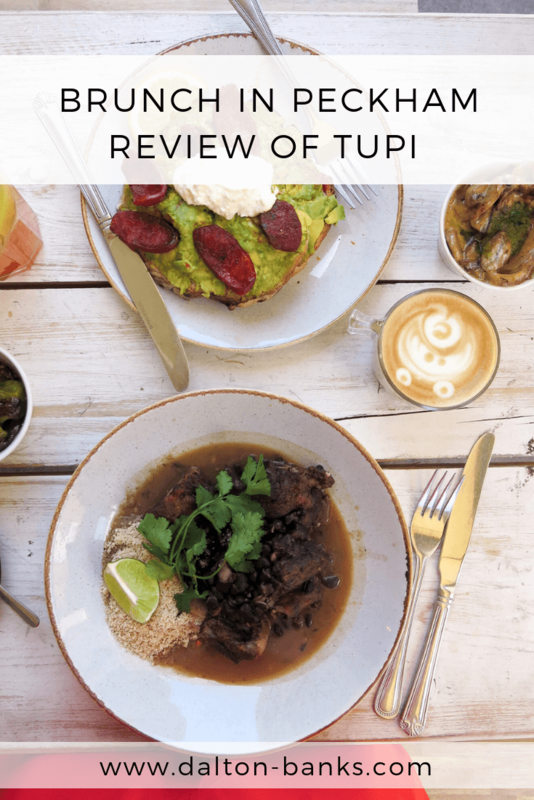 If you are looking for a great place for brunch in Peckham or brunch near East Dulwich then you need to go to Tupi. 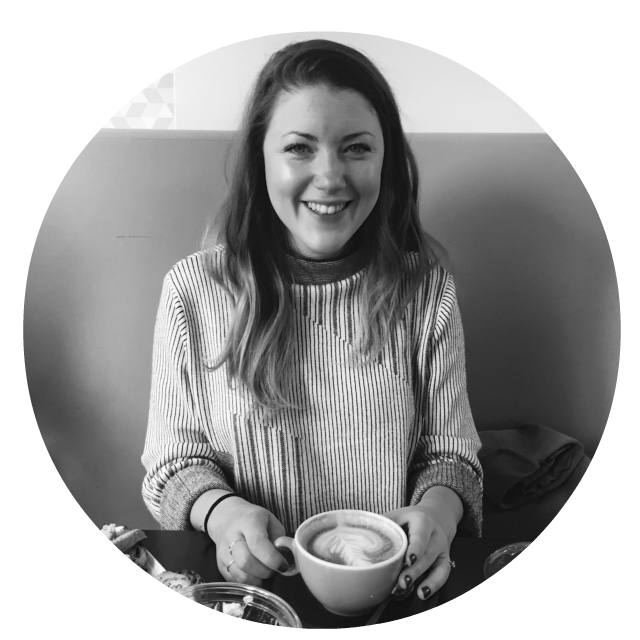 *I was a guest of Katy who was invited to try the menu at Tupi, as always views remain my own. Always on the look out for exciting new places for brunch This looks a winner!.. Oh yes Aaron, you need to add Tupi to your brunch hit list. Such lovely food!